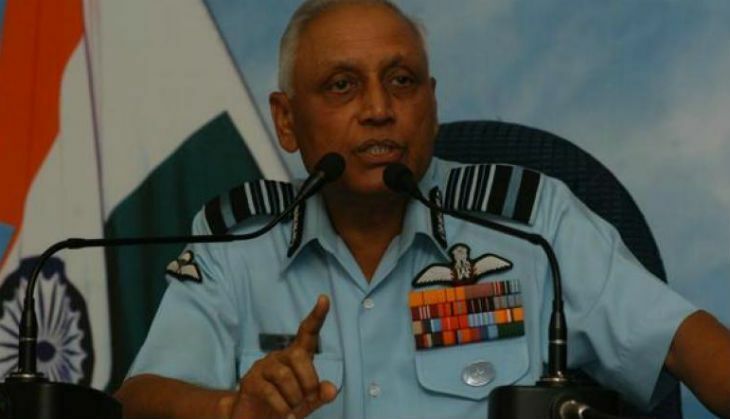 A Delhi court Saturday sent former IAF chief SP Tyagi in four-day CBI custody even as he claimed innocence in the AgustaWestland scam case. Tyagi maintained that the decision to buy the VVIP helicopters was taken collectively and involved the Prime Minister's Office. He also wondered why he was arrested. "I am not a lawyer, I don't understand why arrest," he told the court. Tyagi's fellow accused, his cousin Sanjeev 'Julie' Tyagi and the Delhi lawyer Gautam Khaitan too were sent to CBI custody till 14 December after Sujit Saurabh, the metropolitan magistrate, held that their custodial interrogation was necessary for a fair probe. The CBI had sought 10-day custody of Tygai and the other accused, claiming their interrogation was needed to unravel a "conspiracy with international ramifications". The agency, however, has so far failed to take the investigation beyond the Tyagis, Khaitan and the three middlemen involved in the controversial deal --- Guido Haschke, Christian Michel and Carlo Gerosa. At Saturday's hearing, the CBI's counsel claimed the agency has received information in response to its letters rogatory to Mauritius and Italy, and this information warranted interrogation of the accused. The CBI as well as the Enforcement Directorate, which is also involved in the probe, have claimed that bribe money totalling around 12% of the deal was routed through Mauritius, and this was facilitated by the Tyagi cousins. Khaitan, too, is suspected to have routed some of the the bribe money through a maze of companies in multiple countries. The CBI also told the court that when the UPA government came to power in 2004, the IAF was not ready to compromise on the flying height of the VVIP copters - something that lies at the heart of this scam - but Tyagi, after taking over as the IAF chief, pushed Agusta's case. The CBI also claimed that Tyagi's family invested in farmland while he was the IAF chief, and this needs to be investigated. Tyagi contested these claims saying he has proof of earnings from the agricultural land. His lawyer, while contesting the need for a custodial interrogation, said the accused have faced several rounds of questioning already. The entire process of procurement of the VVIP choppers spanned the tenure of four IAF chiefs. The names of some bureaucrats have also come up as the probe has progressed since 2013, including that of Shashikant Sharma, the serving CAG, who previously served as joint secretary, Air, in the defence ministry, and as defence secretary. The name of the former IAF chief Fali H Major also came up when lawyers for AgustaWestland told an Italian court that the company had hosted him in Italy when the process of shortlisting the helicopters was still underway. Major had countered that he, along with some others, were hosted after permission from the Indian government. The procurement process also involved two National Security Advisors, Brajesh Mishra and MK Narayanan, and the former chief of the Special Protection Group BV Wanchoo, who had to resign as governor of Goa after he was questioned in connection with the scam. Narayanan, too, resigned as West Bengal governor after the agency questioned him as a "witness" in 2014. Interestingly, the CBI questioned the three accused earlier this year as well, but did not arrest them then. The arrests came soon after Anil Sinha retired as CBI director and Rakesh Asthana took over as the acting head of the agency. Asthana, as the additional director, had been heading the investigations into the case. Meanwhile, the BJP has, quite expectedly, upped the ante, asking Congress vice president Rahul Gandhi to reveal who received the bribes in the Rs 3600 crore deal. "It has been established that commission was paid in the deal. Rahul Gandhi speaks on all matters under the sun. He should now make it clear who in the UPA government received the bribe," BJP spokesperson Shrikant Sharma said. Air Chief Marshal Arup Raha has called the arrest a "very unfortunate episode" and said the "incident obviously acts adversely on reputation of a very professional force. IAF and armed forces will continue to serve the nation to the best of its abilities. If anything is wrong, we correct it very quickly".